Schwartz Candies was founded in 1939 by Al Schwartz. He purchased an already established business, which was not only a candy shop, but a restaurant as well. The store, originally located at 127 West 72nd Street in Manhattan (between Amsterdam and Columbus Avenues), found a permanent home at 131 West 72nd Street in the mid-1940's. In the beginning, Schwartz Candies served everything from ice cream to sandwiches to filet mignon. 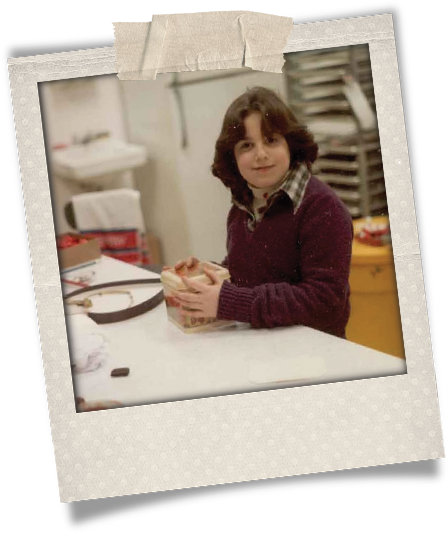 Al started learning the art and skill of candymaking, along with operating the business. But running the restaurant brought Schwartz Candies near bankruptcy. 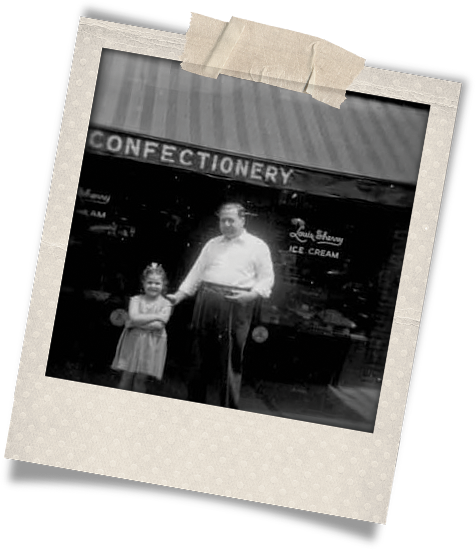 When Al and his wife, Etta, had the opportunity to buy the 2-storey building at 131 West 72nd Street, they reopened only as a candy store. Schwartz Candies has focused on homemade confections ever since. 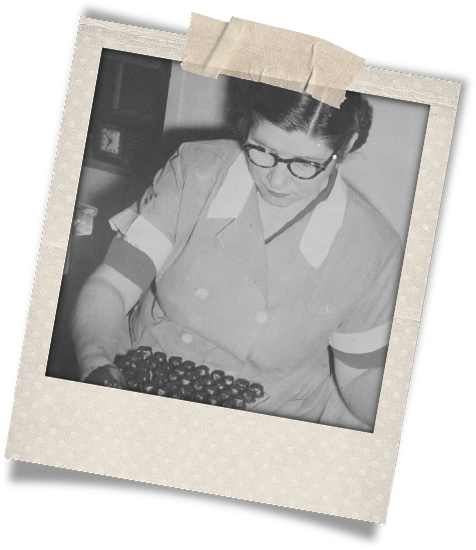 Along the way, with great diligence, Al derived the recipe for the chocolate covered marshmallows that are still the hallmark of Schwartz Candies more than 70 years on. 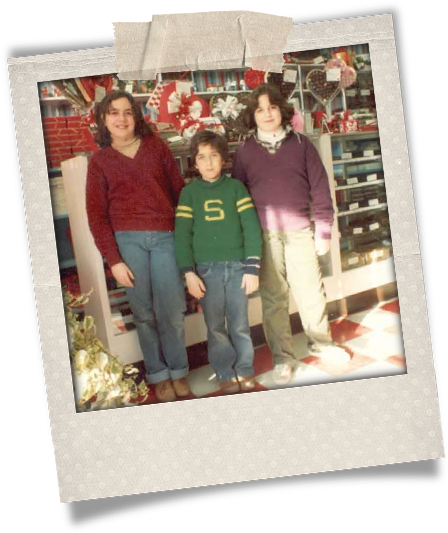 Schwartz Candies has always been a family affair. Al and Etta and their two elder daughters, Helene and Muriel, worked in the business from its inception. Etta passed away prematurely. When Al remarried, his second wife, Bertie, was a fixture at the store. 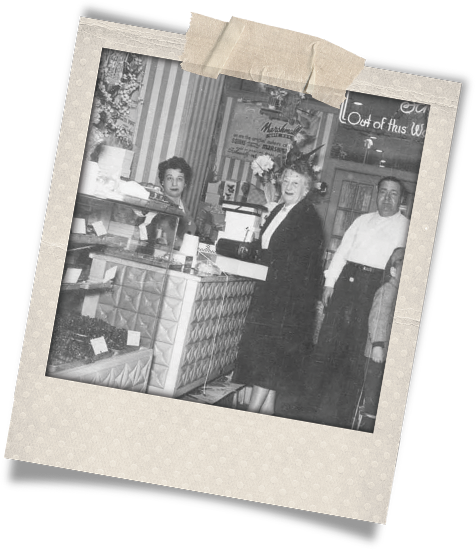 Muriel eventually opened up her own stores, first in Manhattan, then in Flemington, New Jersey. By the middle 1970s, as Al and his longtime staff were aging, some changes needed to be made in the business. One major change was the purchase of an enrober, a chocolate-covering machine. 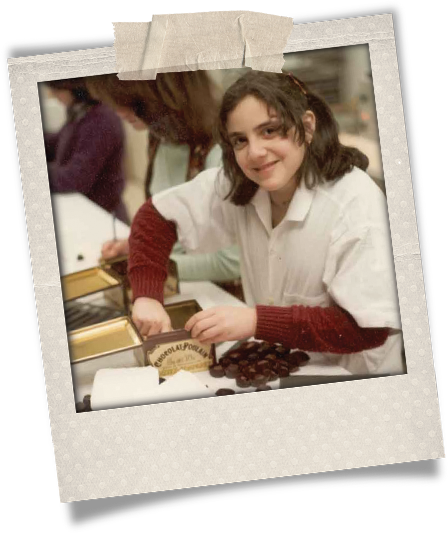 For more than thirty years all of the candy at Schwartz Candies had been dipped by hand in the traditional fashion by skilled women with very nimble fingers. A hand-dipper poured a puddle of warm, tempered chocolate on a marble slab. With a clean hand she tossed a "naked" marshmallow into the puddle. Then, in one swift motion, she covered the candy with her "chocolate" hand, put a symbol on its top with her thumb, and placed it neatly on dipping paper. The dipping papers were all embossed with the Schwartz Candies logo, so the bottom of each candy had the company name imprinted. 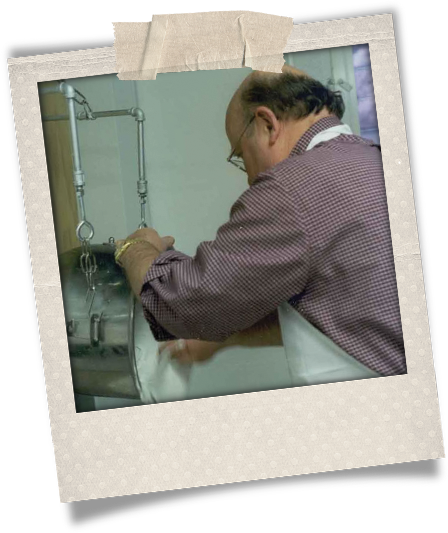 Around the time of the advent of the enrober at Schwartz Candies, Al Schwartz asked his son-in-law, Ira Boskoff, then in his early 40s, to come and help one of his cooks "lift the kettles". This assistance inevitably led to Ira learning how to make candy. He worked for a couple of seasons in Manhattan for Al. When Al's youngest child, Rhoda, was a teenager, she had also worked for her father. But she never expected to end up in the business. She was a professional singer and a schoolteacher after graduating from Hunter College. Her husband, Ira, had no background in the candy business at the time he married Rhoda. He worked in the financial world for a string of companies from Pfizer to Coca Cola. But Ira took to candy making quickly and well. So, Ira and Rhoda proposed opening up their own satellite store on Long Island, where they lived. In June of 1979 they opened a shop on Willis Avenue in Albertson. 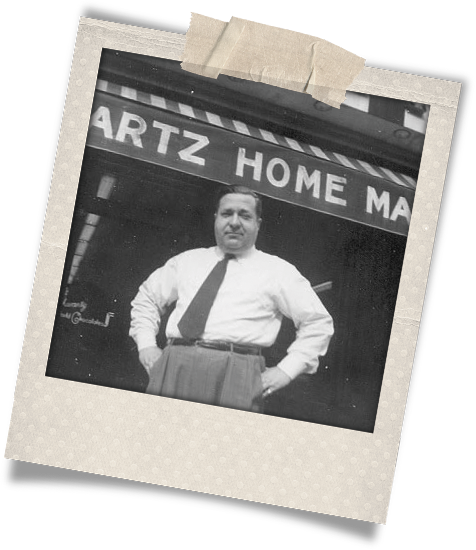 With Al Schwartz's death in 1981, the Manhattan store closed. Ira and Rhoda ran the business until their retirement in 2015. Since 1981 Schwartz Candies has been in three locations. The longest period of time was on Denton Avenue in New Hyde Park, where the business drew its loyal clientele for 15 years. In late October of 1998, during the busy anticipation of the holiday season, Rhoda and Ira received a phone call at home well after midnight. The store was on fire. In a panic, Rhoda, Ira and Stan rushed over to the store, never to see a flame, but to witness the destruction wrought by fire and extinguishing alike. Apparently the workers from the local power authority, in late-night duty on a transformer, reconnected it improperly, leading to thousands of volts shooting down the line, sparking a blaze at the center of the enrobing machine. The fire was devastating, though by good fortune no one was hurt. It put Schwartz Candies out of business for almost a year. But the store reopened in its Denton Avenue location after a remarkable cleaning and renovation. Soon after, Ira and Rhoda's son, Stan, joined them at the store. Stan learned the skill of candy making from his father, and has been in the business for 20 years. In 2004, Schwartz Candies closed its doors once again, while it searched for new premises. Now the store is firmly and comfortably ensconced in Carle Place, Long Island, and this year the business is celebrating its 79th anniversary. 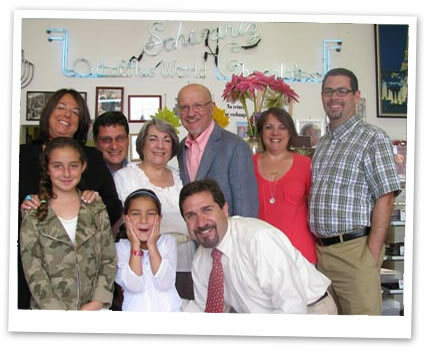 Schwartz Candies has been a family business, but family is only a part of its endurance. Many employees over the years have kept us going through the long hours and the days without break during the holiday season. Without the loyal caring help and hard work of those people, we would not have made it this far. Unbounded thanks to them and to all our loyal customers, many of whom still mention childhood memories of 72nd Street. Onward!